Before Peter Jackson began pitching a certain epic fantasy adaptation which would become one of the most successful and impactful trilogies of the century, he had some fun with other projects. Jackson’s first three films were Bad Taste, Meet the Feebles, and Braindead, all violent, low-budget splatter films meant to be funny, appalling, provocative, and weird. It wasn’t until two years after Braindead that Jackson would receive an Oscar nomination for the drama Heavenly Creatures. In 1995, less than a decade after making Braindead, Jackson decided to take on The Lord of the Rings books. Those weird gory horror comedies though? They’ll be in his filmography forever. Marc Forster made some big budget blockbusters, such as the Brad Pitt zombie movie World War Z or the second Daniel Craig Bond installment A Quantum of Solace. Both were action-packed multi-million dollar productions with lots of fiery violence. But one day, his then 6-year old daughter had a request: “Can you make a movie for me? I can’t watch any of your movies. They are too dark.” That request was met with Christopher Robin, a production featuring the beloved characters from the Hundred Acre Woods and Evan McGregor as an adult Christopher Robin. It is a story both young and mature audiences could connect to and a film that was devoid of darkness, unless you count the Heffalump Trap. Jon M. Chu’s directing career started out with lots of young adult dance movies. From four Step Up installments, two feature Justin Bieber documentaries and one dance-based web series, Chu knows how to put a camera in front of artists. One good thing to come from making a Justin Bieber movie is connections to Paramount. Given that Chu was a mastermind on G.I. Joe lore, he managed to pitch Paramount his vision for the next installment and got the gig. Making G.I. Joe: Retaliation didn’t glue him to the action-blockbuster genre, however, and he later directed one of the most successful romantic comedies of 2018 with Crazy Rich Asians. The film was acclaimed by critics and Chu is set to return for the sequel. Eli Roth is well known for provocative, bloody and disturbing horror films such as Hostel and The Green Inferno. One thing he’s not known for is PG-rated fantasy adaptations starring Jack Black, but that’s exactly what The House With a Clock in Its Walls is. The film needed a director; after Roth read the book, he felt an urge to take up the task. So get ready to proudly send your child to a Eli Roth movie without being afraid of having to deal with trauma. George Miller is the mastermind behind the iconic Mad Max franchise, a series of dark action films set in a dystopian world gone mad. He also directed the Happy Feet movies and Babe: Pig in the City. Miller told Vulture that he was drawn to children’s movies because he watched them with his own kids. 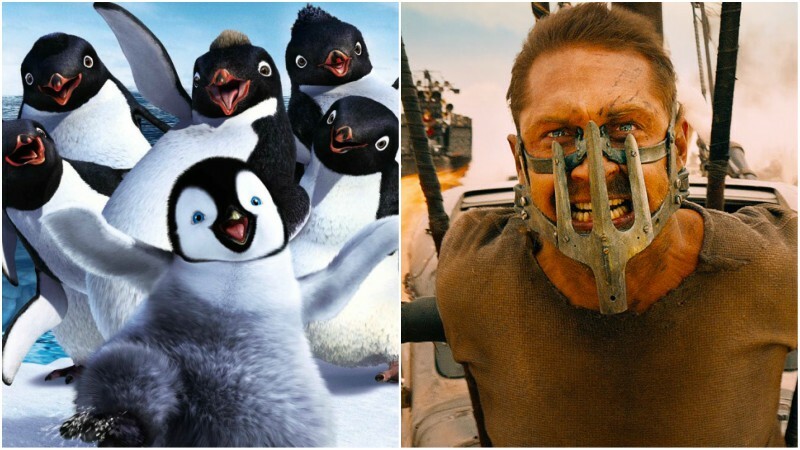 Miller insists, however, that even Babe and Happy Feet have a connection to Mad Max, as all of them depict a hero’s journey. Before Zack Snyder took on DC Comics’ lore, he was known for 300 and Watchmen, both dark and gritty movies full of bloody violence and intense sequences. Then he made an animated movie about owls. Legend of the Guardians: The Owls of Ga’Hoole was based on a book Warner Bros. had acquired the rights to. Snyder was hooked by concept art for the movie and took advantage of the opportunity to make an epic animated blockbuster. Snyder kept to his trademark moves, using heavy slow-motion to create some pretty amazing shots of owls flying through the winds. Before M. Night Shyamalan shocked the world with original horror thrillers such as The Sixth Sense, Unbreakable, and Signs, he did a really sweet family comedy. Wide Awake follows a child looking for answers to life’s biggest questions. The film did poorly at the box office and wasn’t too well received by critics, but it put Shyamalan on the map nonetheless. Did you know he also co-wrote Stuart Little? The post Directors Who Followed One Movie With A Totally Different One appeared first on ComingSoon.net.